Used Alfa Romeo 159 Review - 2006-2012 | What Car? 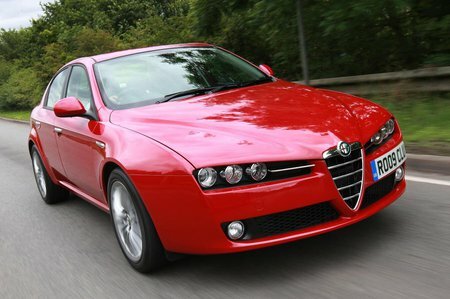 What's the used Alfa Romeo 159 saloon like? You can't accuse the Alfa Romeo 159 of blending in with other cars on the road; its distinctive front grille and jewel-like headlights certainly catch the eye. Unfortunately, it's a case of style over substance because, although it's reasonably accomplished in most areas, the BMW 3 Series, Audi A4 and Mercedes C-Class are all much better prospects. Interior space is good, and certainly better than the model it replaced, the 156. Two adults can fit in the back, while front passengers aren't left wanting for room. The boot is also a good size and shape although, being a saloon, the size of the opening is limited. The 159 has impressive grip through bends and rides well on most road surfaces, but body roll isn't contained and the car can feel unwieldy on twisty roads. You can also hear the suspension thudding over the worst bumps. The steering is accurate, but not the most responsive.